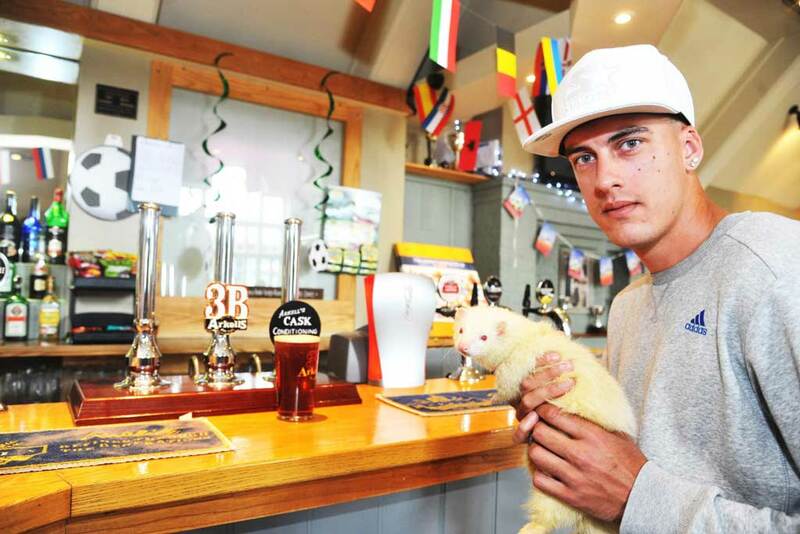 Some customers at the Moonrakers pub in Swindon, Wiltshire, were surprised when a ferret wandered in. “I had come down to meet a friend, I wasn’t drinking as I was driving, when all of sudden, someone pointed behind me and I saw this ferret just walking in through the open doors. I was shocked. He strolled in like he owned the place,” 24-year-old Dean Bennett said. “It was very casual, relaxed, almost strolling in, he definitely looked like he had been in there before. It was the last thing I expected to see in there. My friend was like, catch it, but I was scared he might bite me. He then darted behind and tried to go round to the toilets. I grabbed him then and saw he was very friendly and looked very well looked after and fat. “It is a very unusual thing to have happened.” However, landlady Paula Vernon said he is a pub regular. 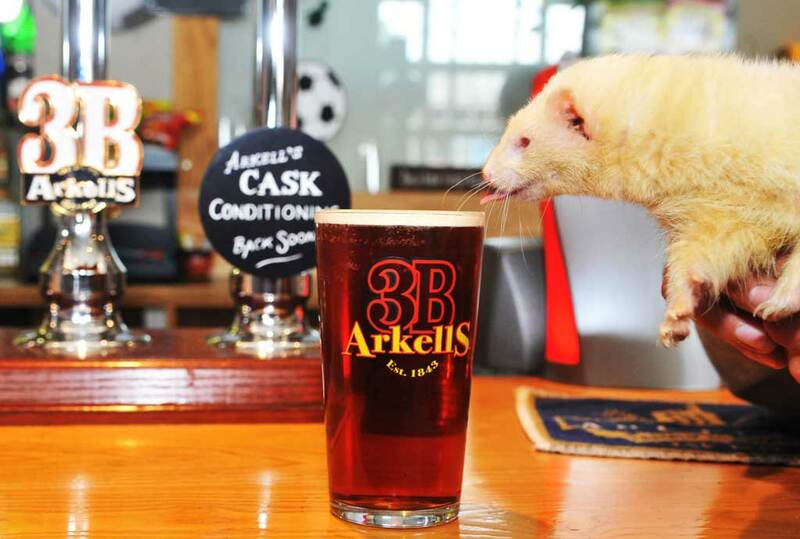 “He’s definitely been in before, he seems to be getting quite used to the pub. We have tried to catch him before and put him in a box with some food while we tried to find his owners, but he always slips away,” she said. 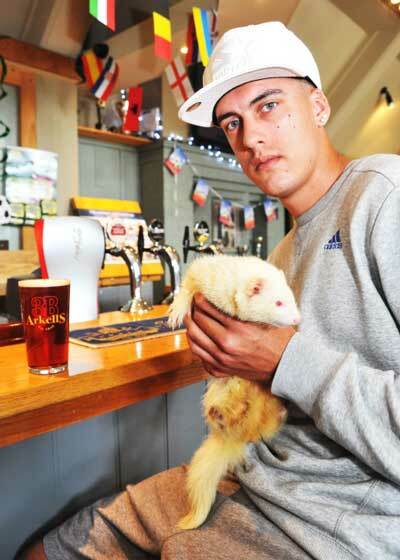 The ferret was taken to a local vets who later reunited it with its owners.